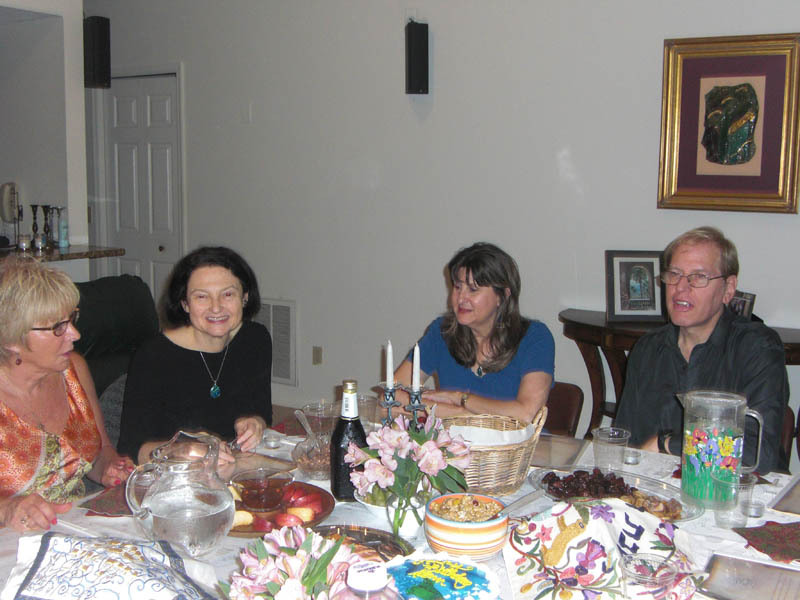 Our Blessing Seder that we have on the first evening of Rosh Hashanah was a little different this year. 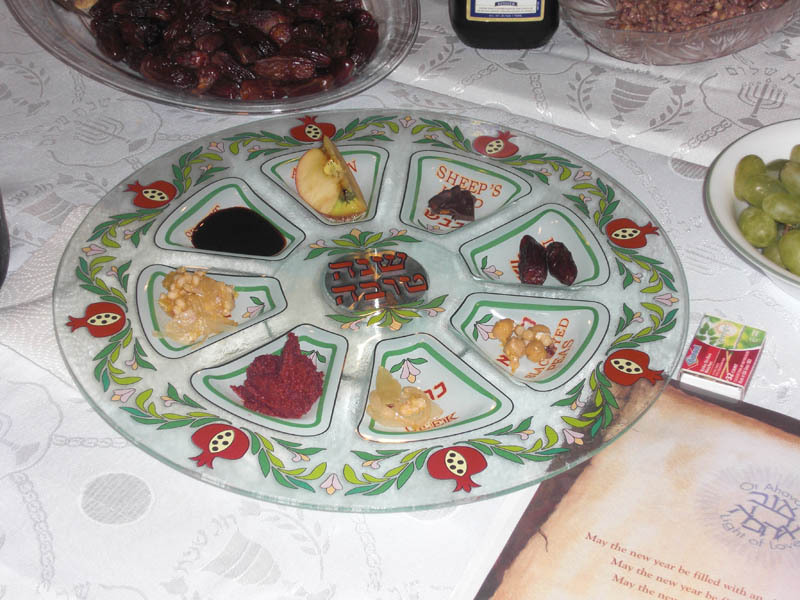 It was the first year that we had a Rosh Hashanah seder plate. It also was the beginning of the Shmita year that occurs every seven years and is dedicated to giving the land of Israel a rest. 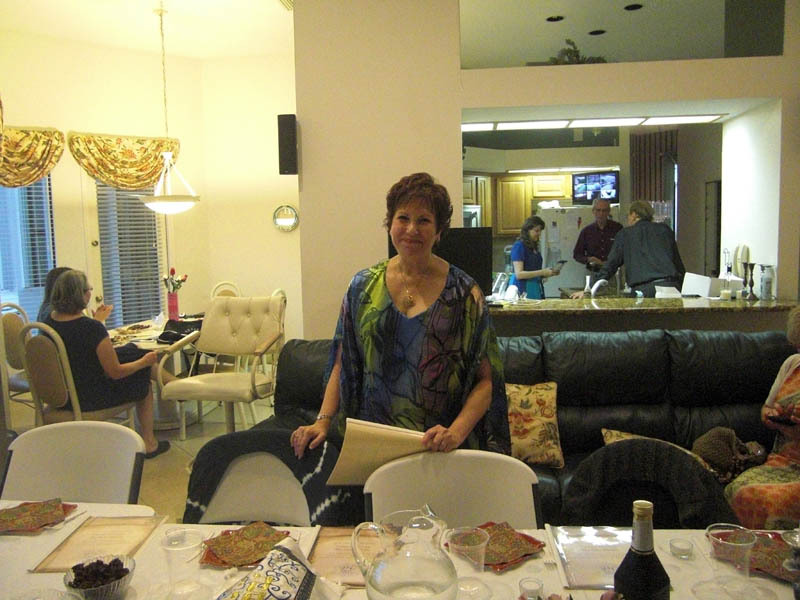 We borrowed a beautiful Shmita seder from Rabbi Nina Beth Cardin from the Sova project and entwined it with our seder. 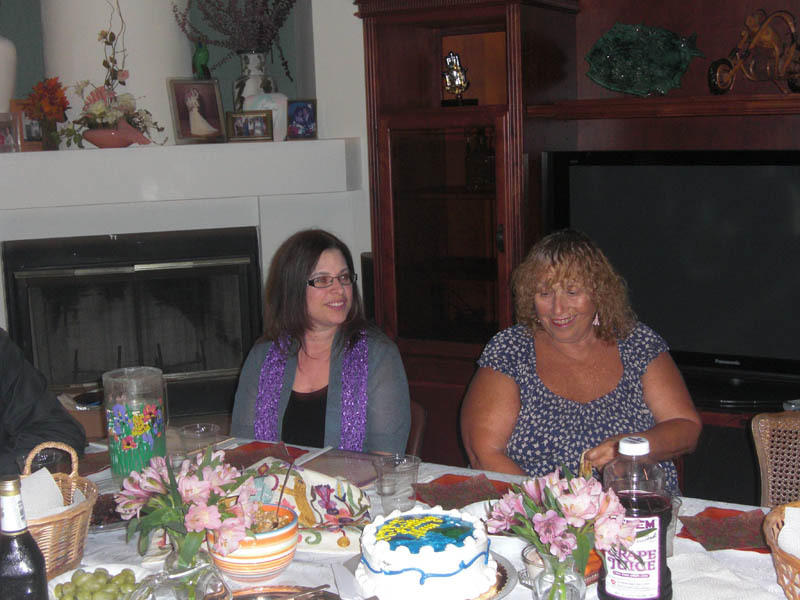 The birthday cake is part of our celebration of the birthday of the human soul that Jewish mystics teach occurred on the eve of Rosh Hashanah. 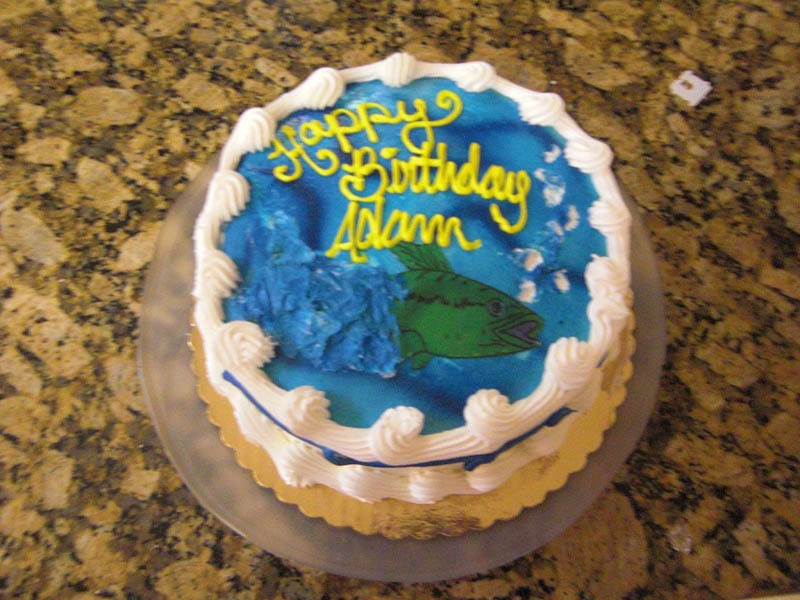 The name on the birthday cake, Adam, pronounced Ah-Dham, means the human being.